Heat milk in a heavy-bottomed pan on low flame. Once its boiling, add lemon juice and turn off the heat. Leave it untouched for 15 mins or until it gets curdled completely. Transfer it to a cheesecloth and drain the whey. 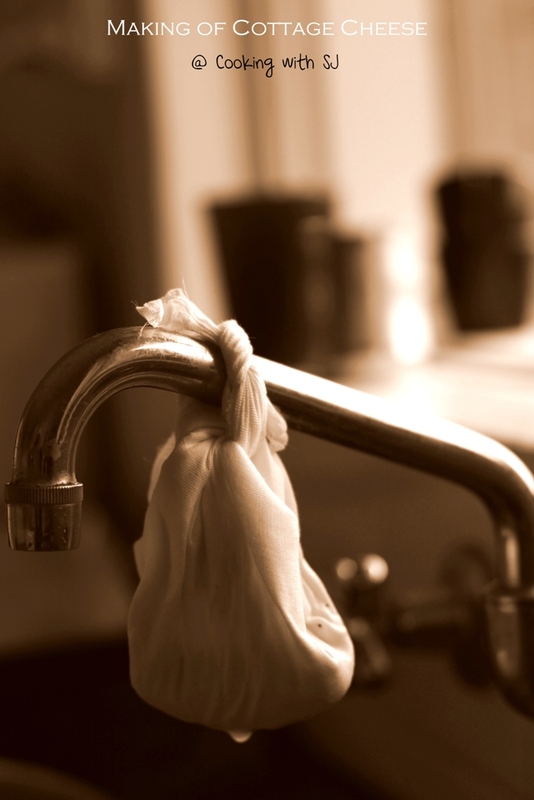 Make a tight bag out of this cheesecloth and hand it to the sink tap. After approx 1.5 hrs, place it on a flat surface and put a heavy weight onto it. And let is set for about 1-2 hours again. You can use it instantly by cutting into cubes or it can be stored upto 2 days in refrigerator. You can use vinegar instead of lemon juice here! I’m allergic to it so I prefer lemon juice always!!! am definitely doing this over the weekend! Thanks Sruthi!! 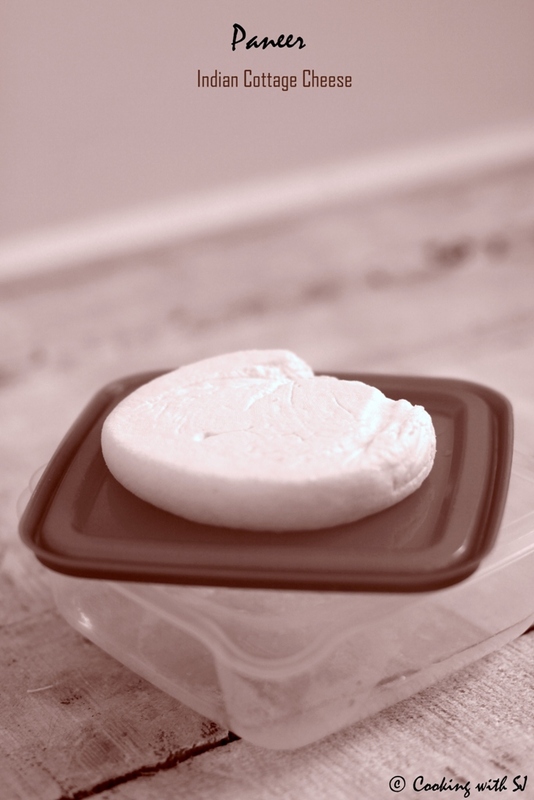 Homemade paneer is the best! 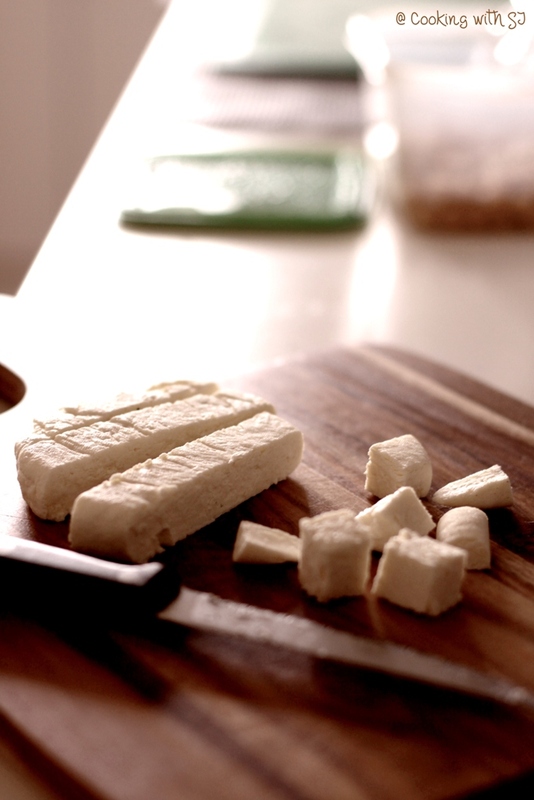 Beautiful pictures and of course yummy paneer!